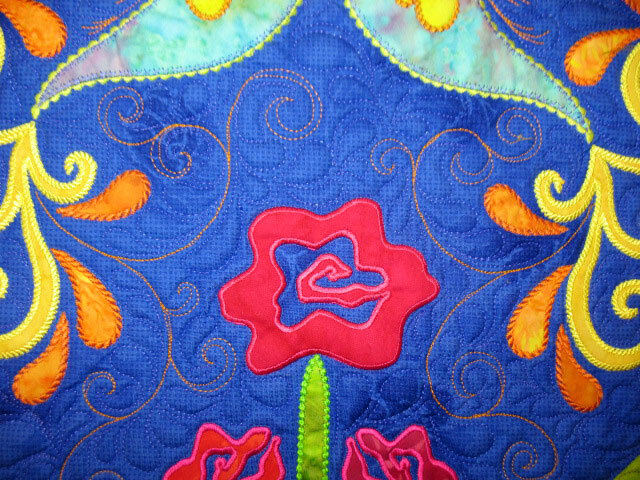 Does anyone out there think they might enjoy using vintage aprons for a quilting project? 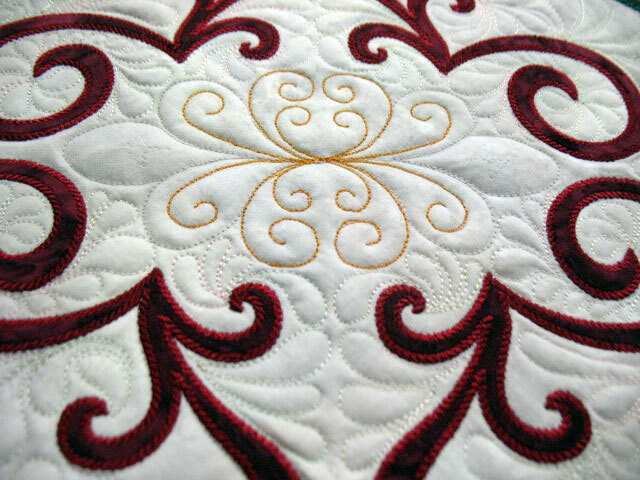 If so, please drop me a line with your contact info. 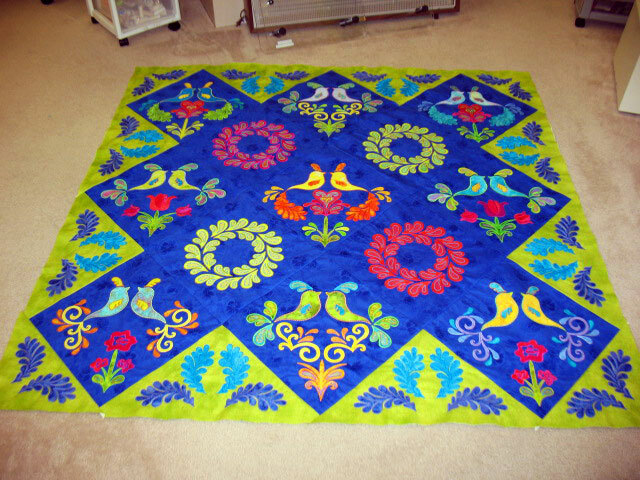 I was just contacted by someone who unearthed several while cleaning out an attic, and she’s looking for some quilters who might have a use for them! 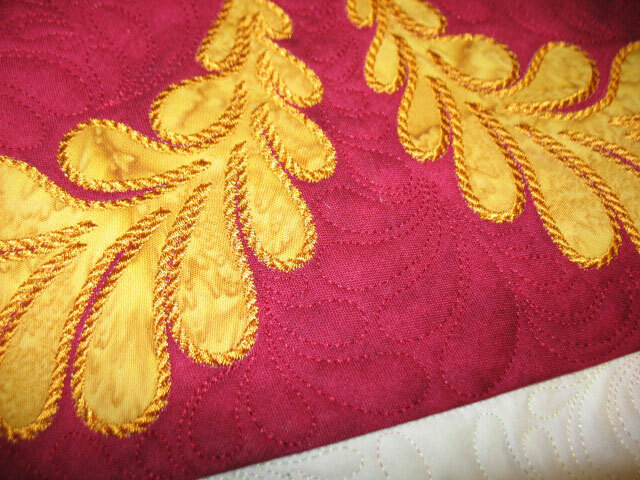 Angie asked if I quilted around each applique piece with invisible thread. 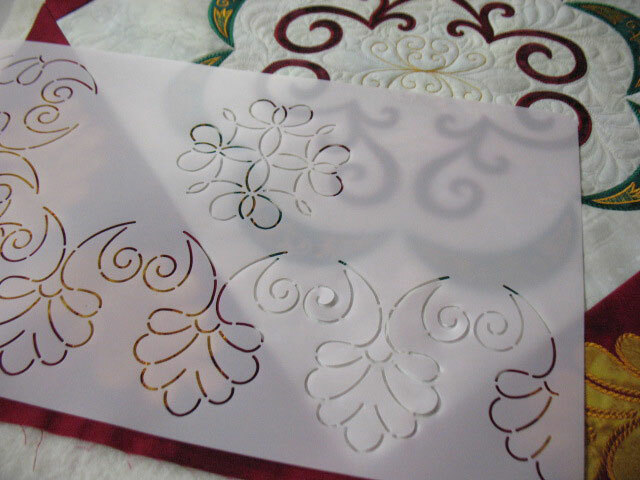 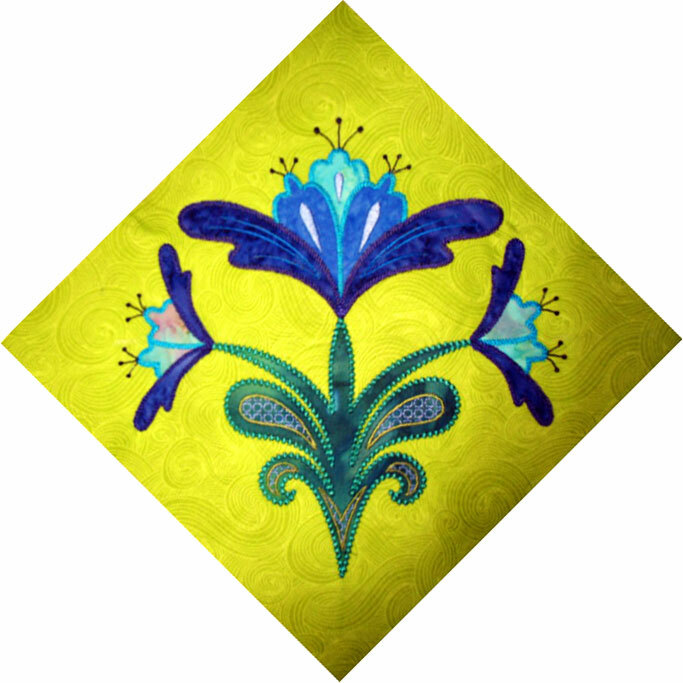 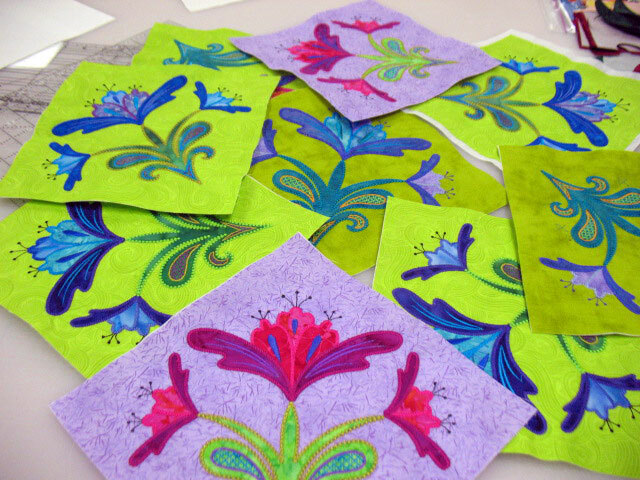 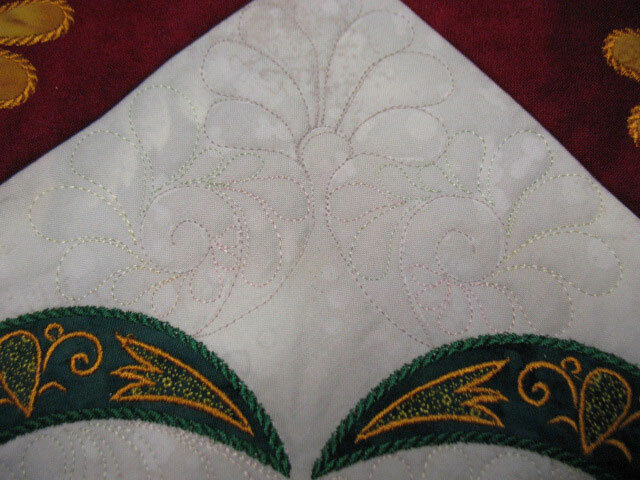 As a general rule, the first thing I do is to outline each applique piece with invisible thread because I can’t really quilt any designs in the surrounding areas until I have “stabilized” my applique scene in place with quilting. 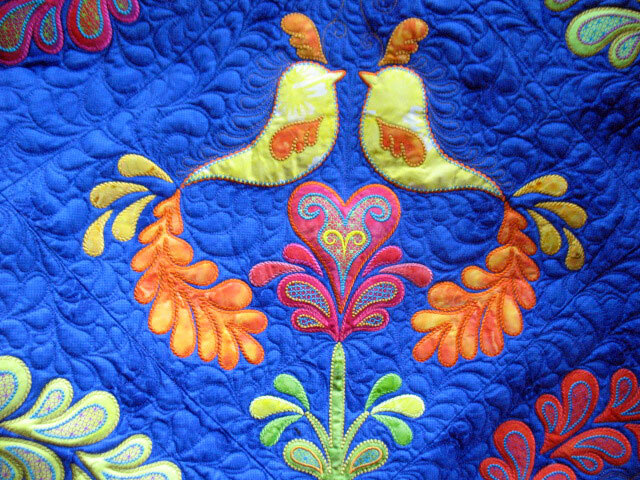 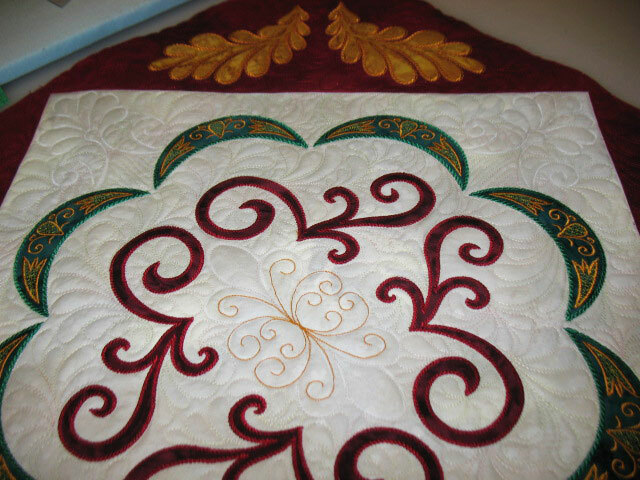 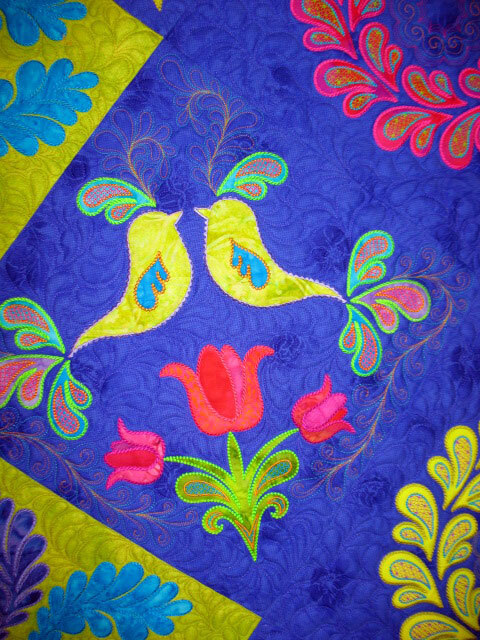 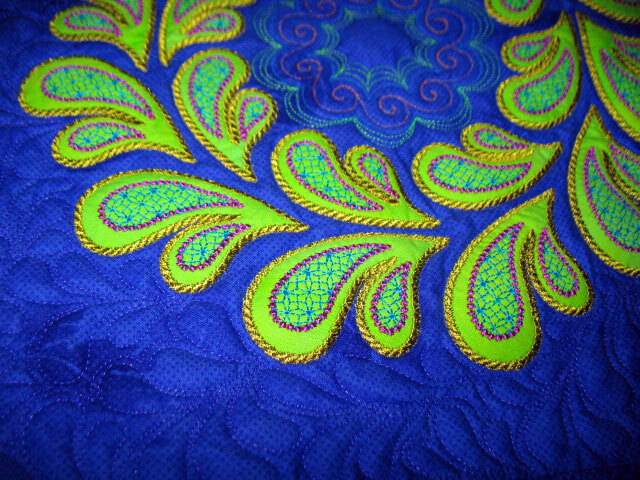 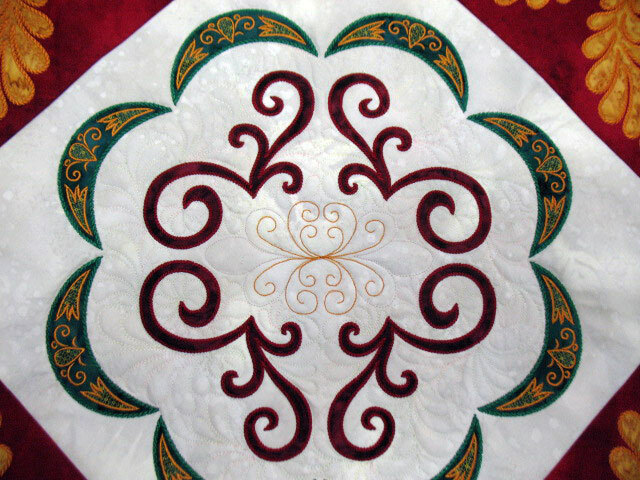 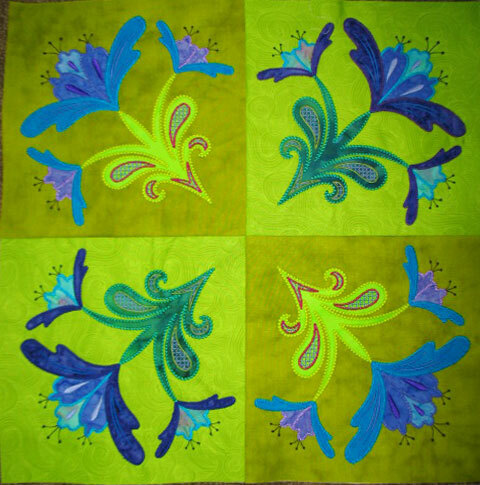 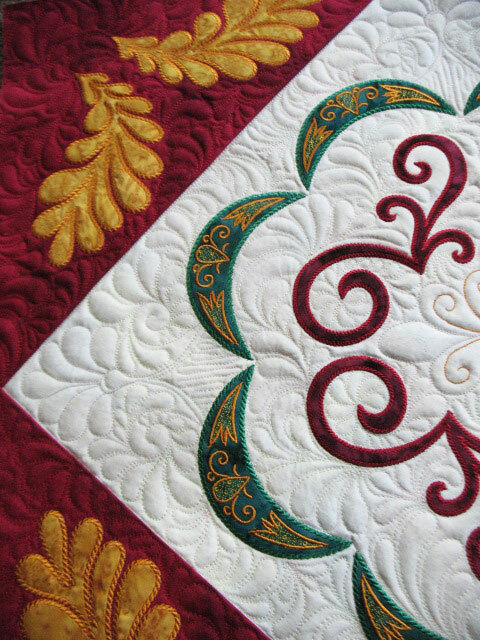 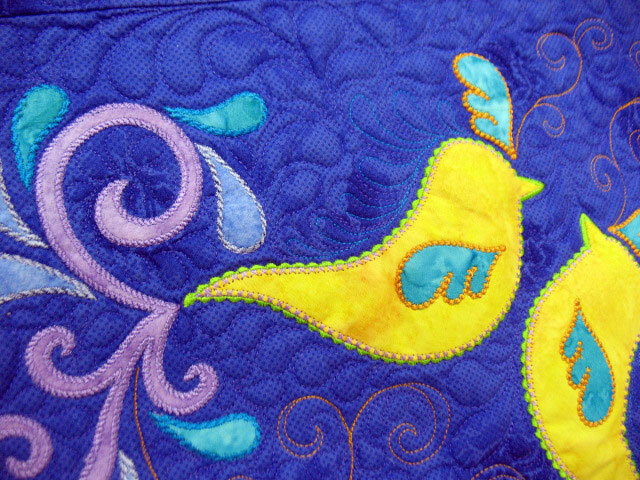 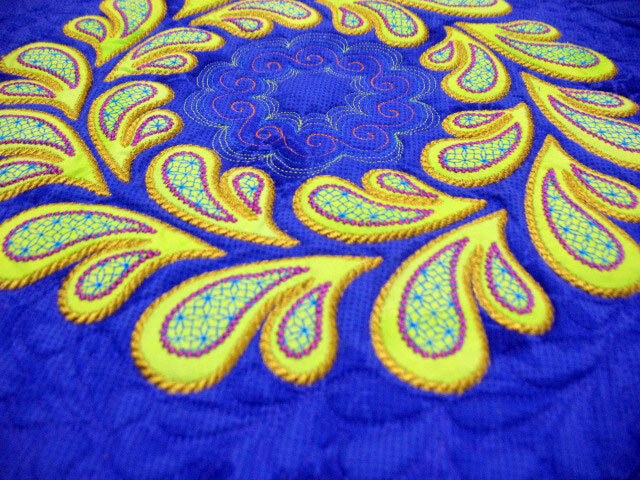 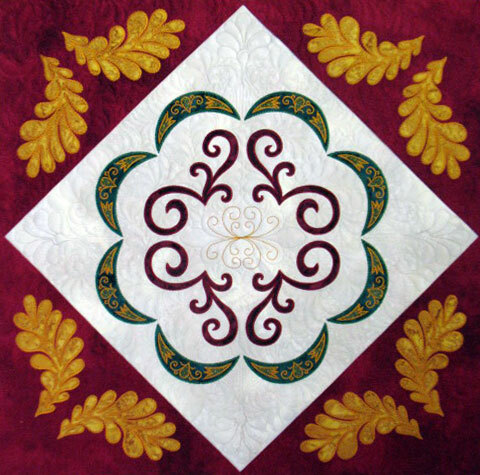 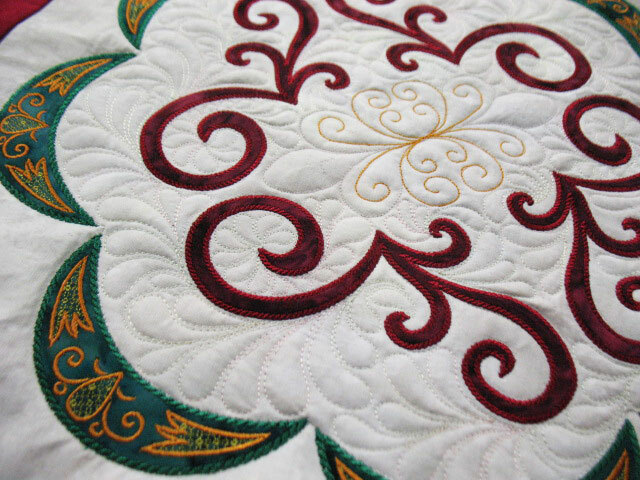 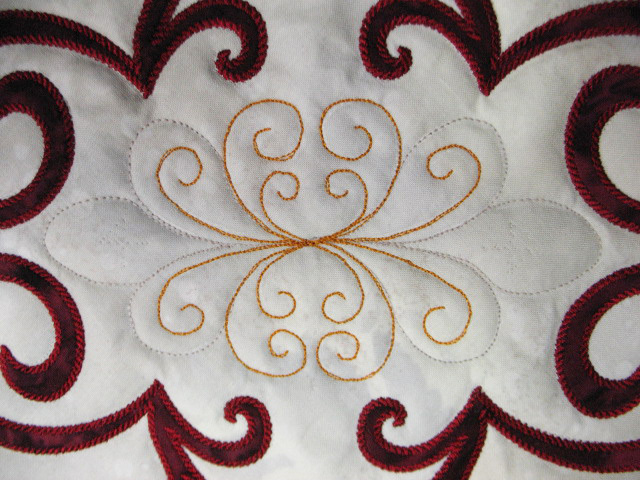 I then quilt any dominant shapes, like feathers, vines and swirls. 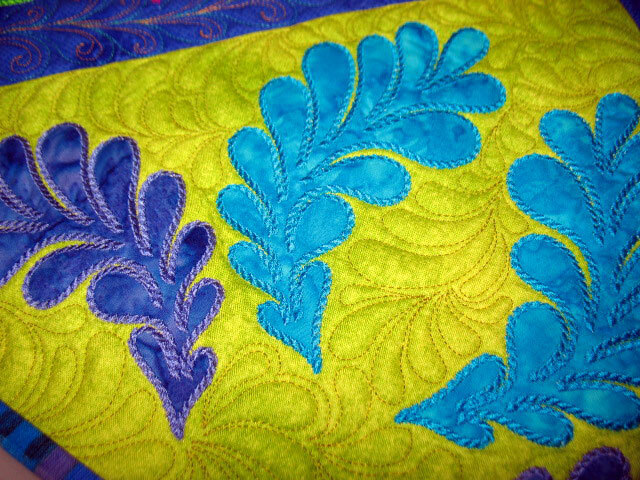 The last thing I do is the background quilting. 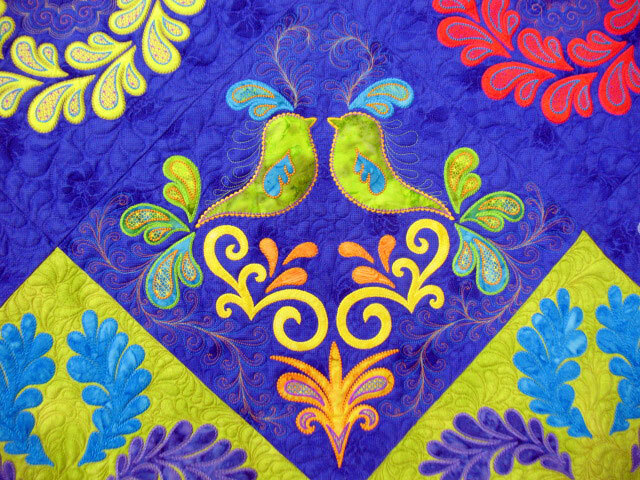 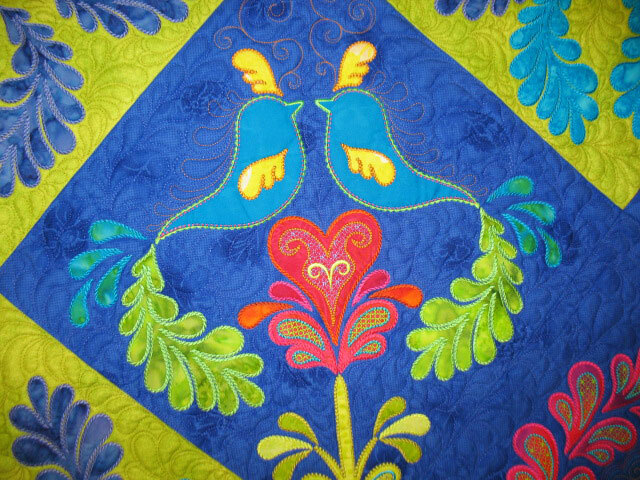 On this quilt, I left some of the internal bird wings without outline quilting in order to make the entire bird shapes more protuberant. 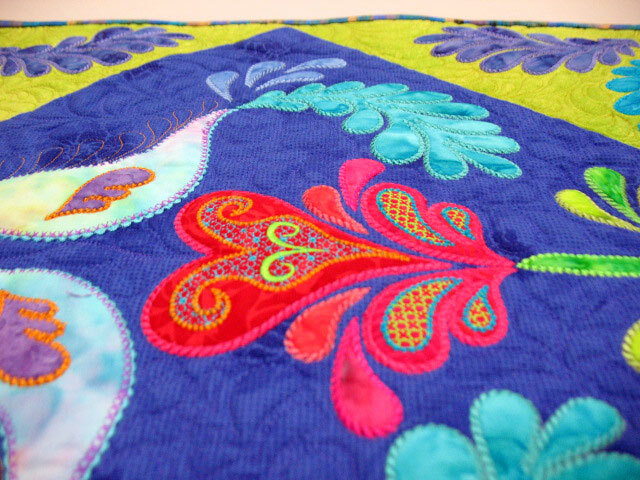 The next post will be about a completely new project!